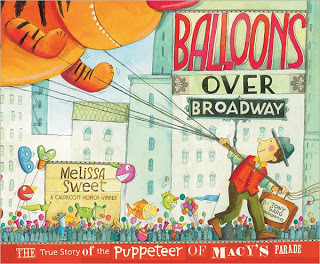 I’ve mentioned before how much I love Melissa Sweet, and her newest book, Balloons Over Broadway, is no exception. This book, as the title suggests, is about the man – Tony Sarg – who invented the puppets that the Macy’s Thanksgiving Parade displays each year. The parade originally started out as an employee celebration because so many of the Macy’s employees were immigrants and missed their own cultural street festivals. Tony Sarg, who made the window puppet exhibits was asked to help build the costumes and floats. Each year the parade got bigger and bigger, but when the live animals started to scare the children, Macy’s asked Sarg to come up with something to replace the animals. And thus, after some hard work, he figured out the floating balloon animals. It’s fun to watch Sarg move from his original field of specialty in marionettes and puppets into something that has become so famous. As usual, Sweet’s illustrations are fabulous; I find her illustrations to be so lively, so happy, and so full of color and texture. Although I’ve really come to love picture books over the last four or five years, I still struggle to spend as much time enjoying the illustrations as I do the words. 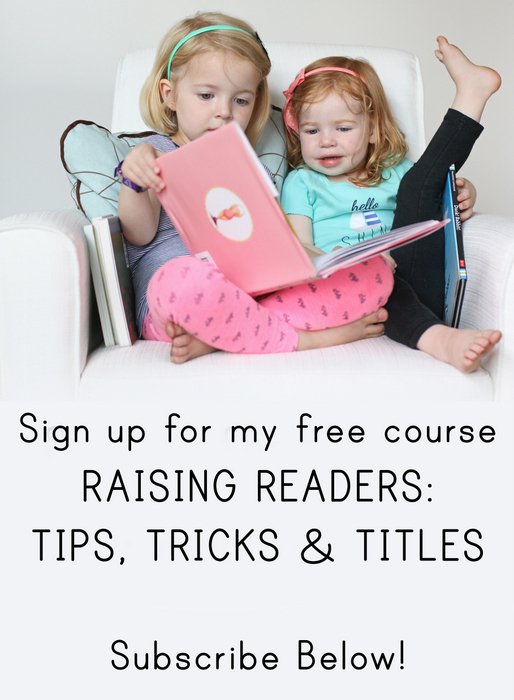 Melissa Sweet’s books make it easy – I can’t stop poring over her images. And clearly her talents aren’t only artistic. 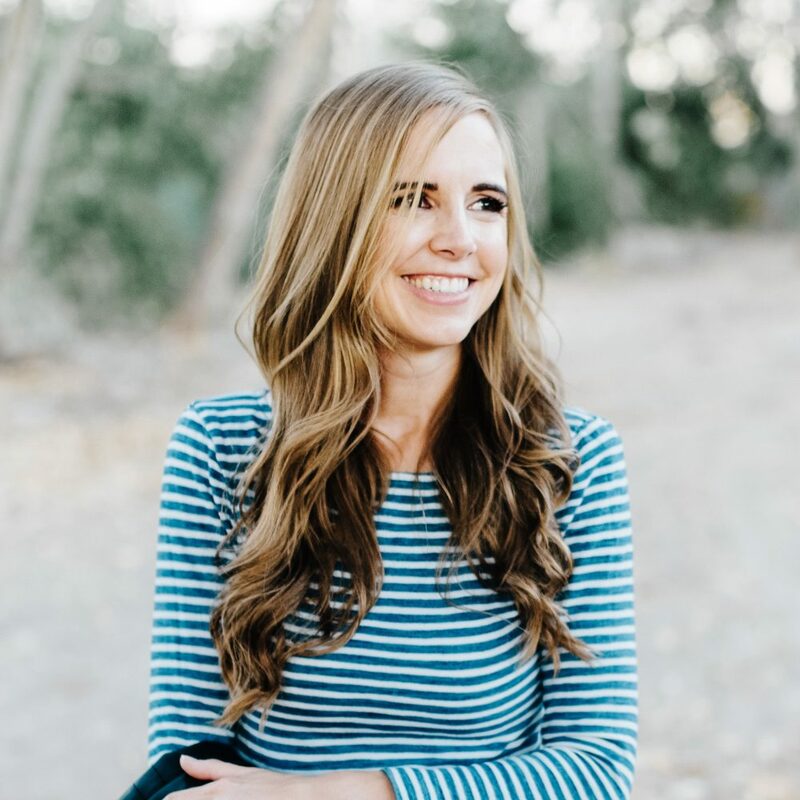 The writing is excellent – I loved her descriptions of the balloons making their way through the “canyons” of New York City. Isn’t that a great way to describe downtown NYC? I loved the extra page of information about Tony Sarg and his legacy at the end of the book (an apprentice of his made the puppet show that appears in The Sound of Music, and that apprentice’s apprentice was Jim Henson, creator of the Muppets). This is an obvious addition to any Thanksgiving book collection. I love how you have a collection of only one book. Here's to finding many more! Yes! I live for the Macy's t-giving day parade 🙂 So glad someone made a story out of it. We loved this book last Thanksgiving. Let me recommend One is a Feast for a Mouse. My 3yo son also enjoyed Over the River and Through the Woods by L Maria Child and Matt Tavares. It illustrates all of the verses of the song (who knew there were that many?). There was another version of the song subtitled A Turkey's Tale that he liked but I had to gloss over the fact that it features a hunter trying to kill a family of turkeys.